He is the protagonist as well as the narrator of the story. He is introduced first as a child with lots of imagination in contrast to the grown-ups who lack imagination and discourage him from drawing. Then he is introduced as a pilot who lives life in isolation because he refuses to follow the ways of grownups. However, he himself is proven to have grown-up attributes as he is at times preoccupied with fixing his engine rather than explore the desert and marvel at the beauty of the stars. The Pilot seems receptive of all the stories told by The Little Prince and in the end he learns numerous valuable lessons from the little boy. In essence, this resembles the romanticists belief that children are the purest and most natural form of mankind and that they are the most marvelous teachers in matters of passion, imagination and letting go of ones inhibitions. The prince is also the protagonist of his own tale as he is the main carrier of the message. We navigate with the prince through his adventure. He is brave and curious enough to explore and leave his home planet in search for truth. He is kind to all whom he encounters but in his childlike innocence, he is often puzzled by the behaviors of grownups who seem odd, illogical and superficial to him. In his exploration the prince learns how to love properly and how to establish true friendships. The Little Prince is imaginative and curious and knows all of what he knows only by exploring it himself. 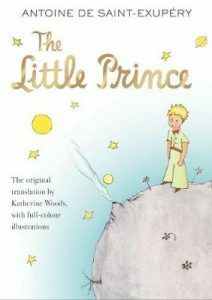 In essence, the little prince is all the imaginative children before they turn into utilitarian grownups who are only concerned with material and practical things. He is one of the most important characters of all as he is the reason behind the prince’s epiphany as he teaches him very valuable lessons while their friendship progresses. The fox teaches the prince that no one is unique until they are tamed by another. He lets the prince tame him ( meaning to establish ties with him) and in return he teaches him a valuable lesson that one must look beyond the surface of things and that can only be done by looking with one’s heart. The fox can be considered to be the wisest character of all as he reveals a message of how one can become unique in a world where everyone appears to be the same.